Expand Performance tree on the left hand side to reach to User Defined. 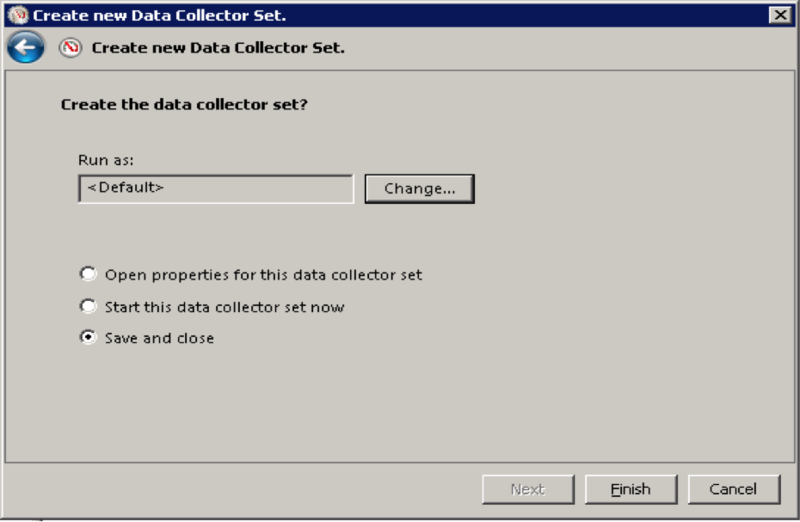 This is where you will find all custom created data collector sets. As you can see, I already have two there (NFT and PerformanceStats). Lets create another one. 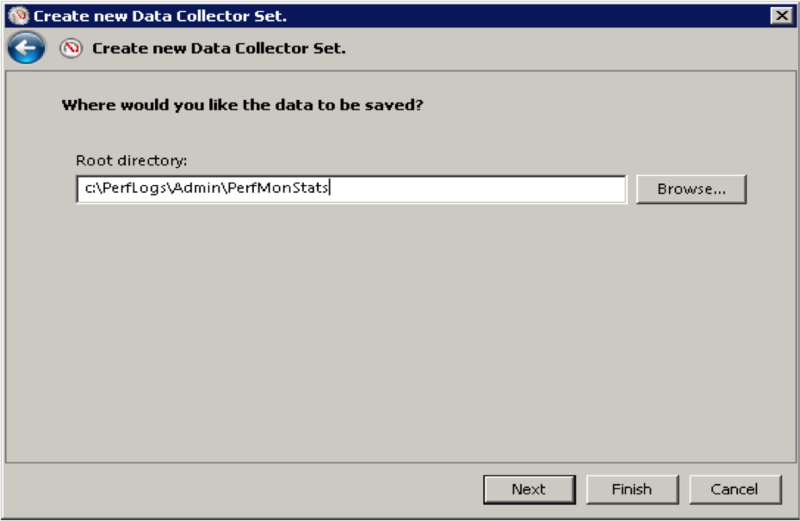 Right click on User Defined and select New -> Data Collector Set from the pop up menu. 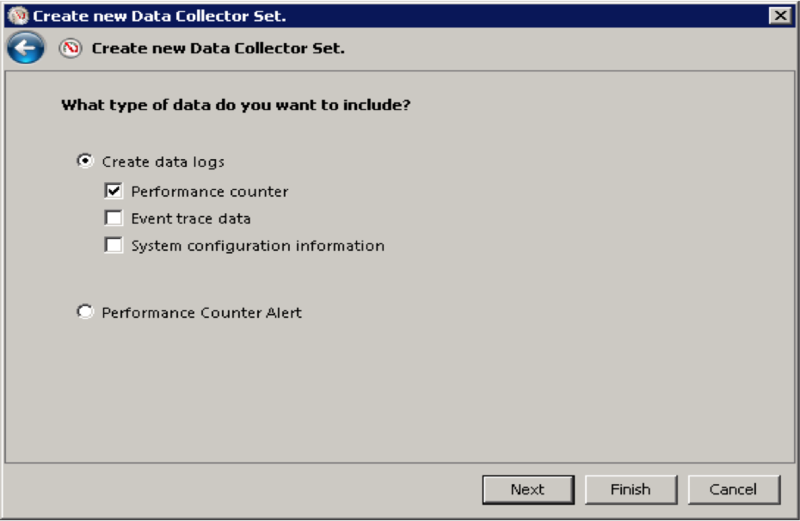 In the Create New Data Collector Set dialog, provide a name to the data collector set and select Create Manually (Advanced). We will see how to create the data collector set from template later in the post. Counters are grouped into Objects. Either you can monitor the whole object or selected instances from the object. Lets say we want to monitor Available memory and CPU utilisation for local computer (i.e. the computer where you opened perfmon). 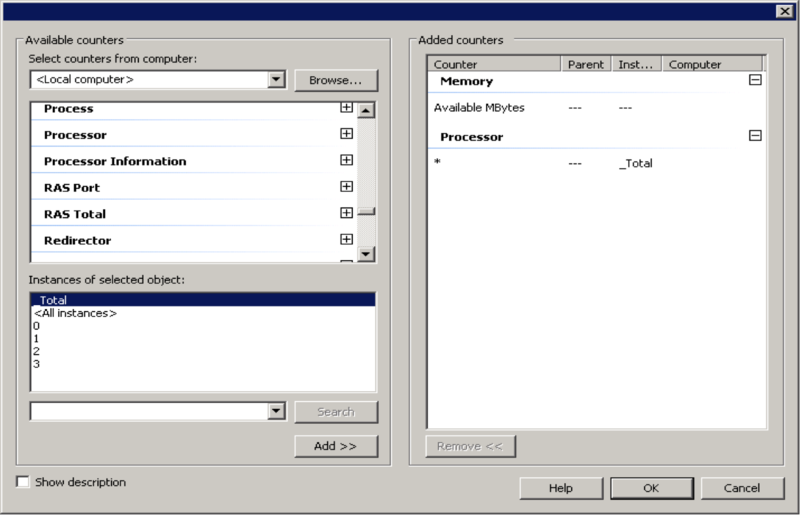 First, expand Memory object, then select Available MBytes from the instances of selected object and click Add. Do similar for Processor Object, choose _Total from Instances and click Add. Click OK. Provide path where you want to save the data and click Next. Select Save and Close; click Finish. Done. 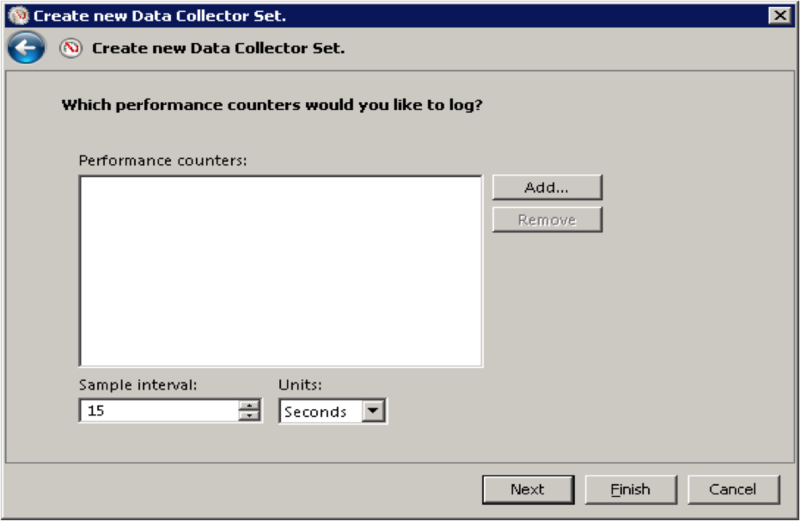 We have created our own data collector set.